The best way to ensure the reliability of a supplier and understand the manufacturing process of a product to control the progress of a project, is to go directly to the factory. This is why we, at ODM, have made it our mission to carry out this task on a regular basis. 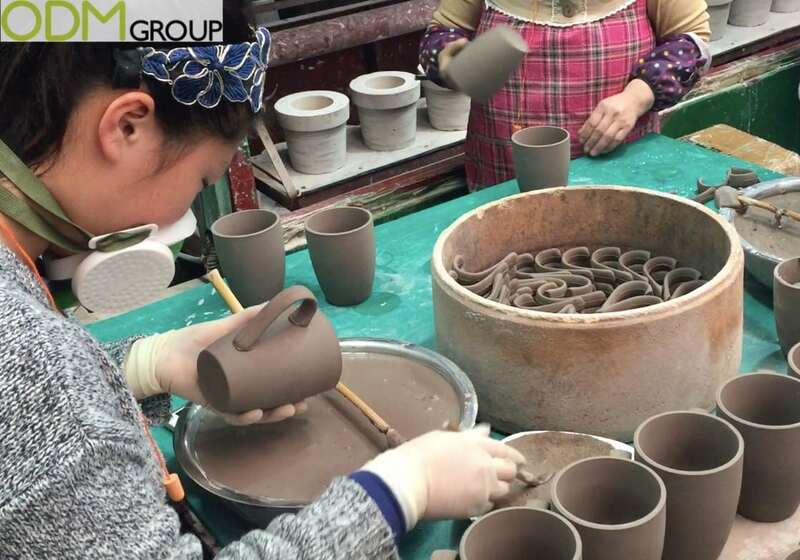 Recently, the company went on a ceramic factory visit in Shandong province, northeast China. 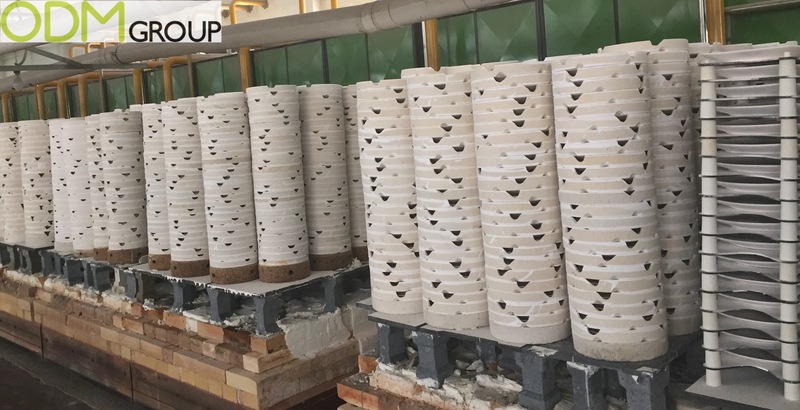 There are several techniques for the creation of ceramic products, but in this blog, we will focus on the technique used by the factory visited. 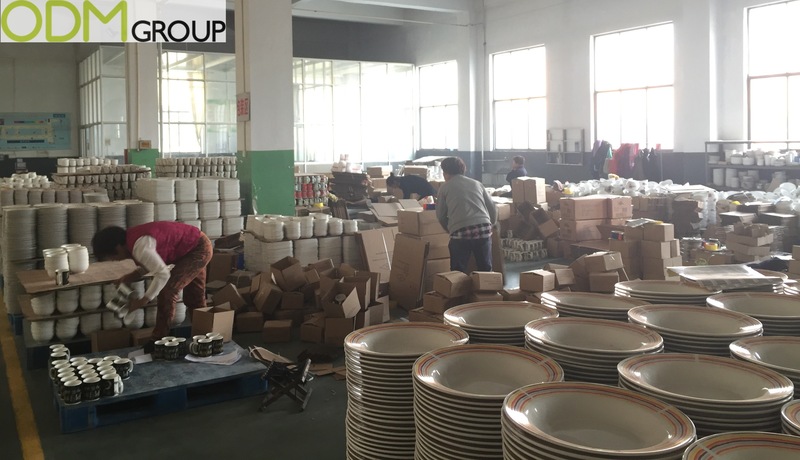 Our supplier has an excellent knowledge of ceramic manufacturing, is very well-organized and in line with standards. Unsurprisingly, they are experiencing a great success, with a lot of worldwide orders and also about to pass Walmart factory audit. 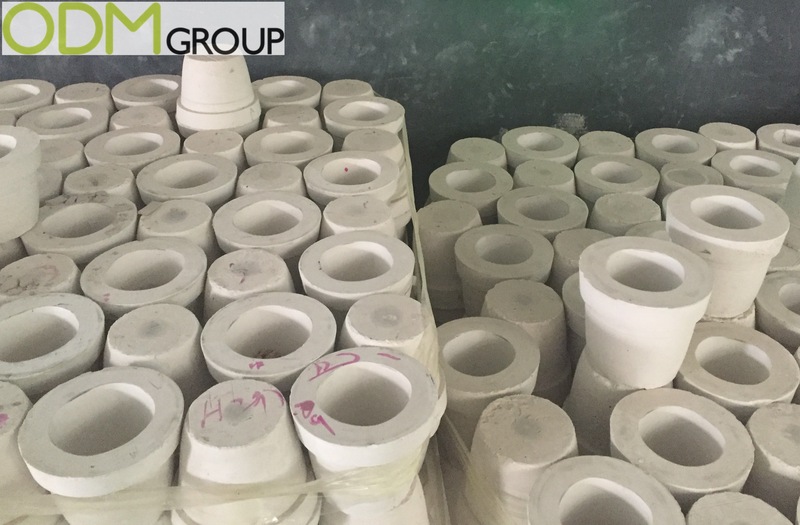 First of all, in order to repeat the shapes identically, it is necessary to create a mould according to the client’s design. A mould is made with clay and can produce about 200 pieces. We like this material because it is very low budget and simple to implement. It is important to construct a formwork slightly larger than the desired shape due to the retraction of the ground during heating. Then to fill this form with dough, take the model piece and press it firmly into the dough to the desired mold release. 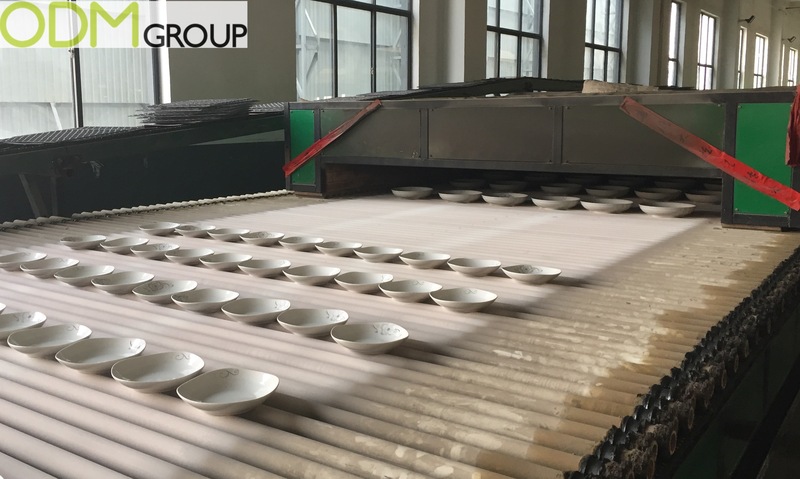 Once the mould is ready, the second step is the shaping with machines. Sizing: Forming the dough on a rotating mould by the action of a gauge. The plaster absorbs the water from the slip and a solidified mass is formed progressively on the walls of the mould. It is the time that the slip is left in the mould which will give the thickness of the film of the piece. The excess slip is then evacuated and the piece unmoulded. 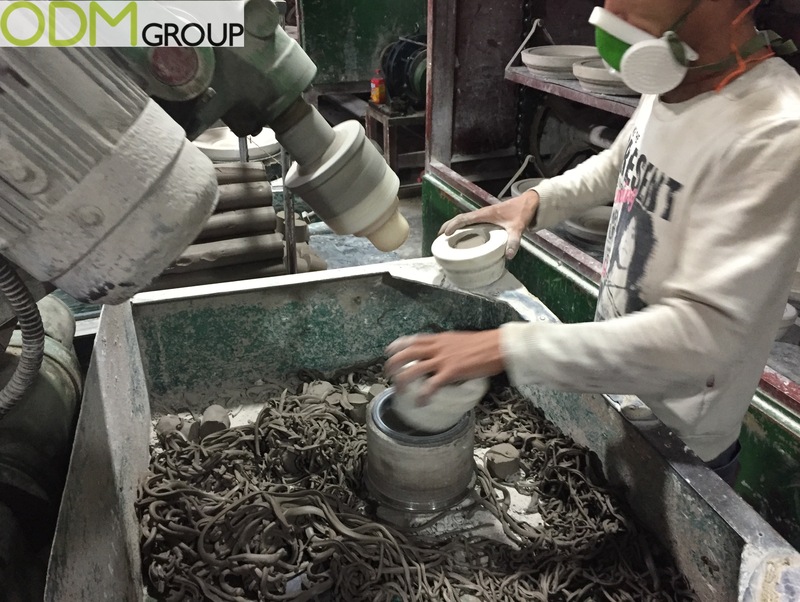 Slip casting : The raw material is clay dough. The advantage of this material is its plasticity. 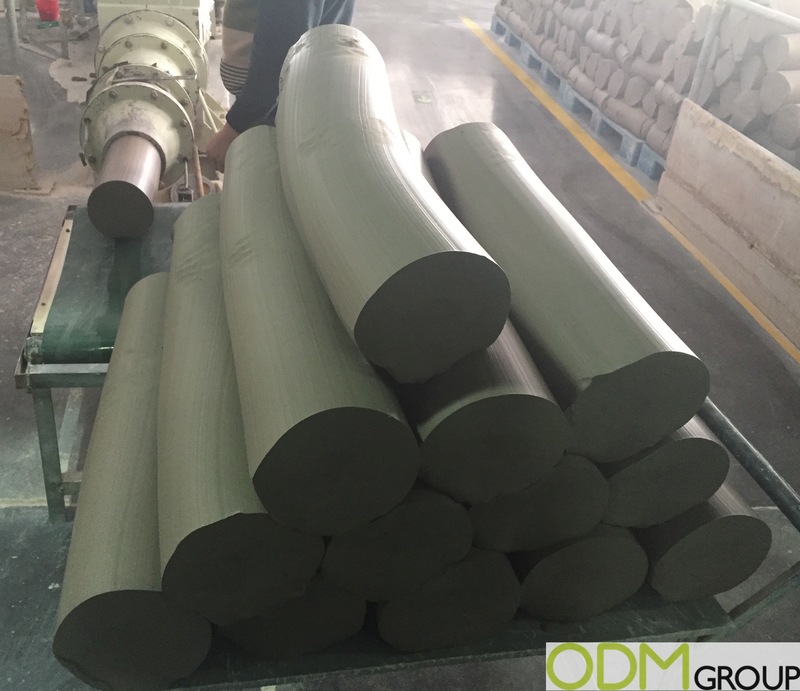 This gray dough that contains vegetable matter is dissolved with water and this is called slip casting process. This is used for gluing together parts of a ceramic before heating, as we can see above with the handle of the mug. Products are then brought to another production line for glazing process. Glazing process consist in the application of a ceramic surface coating to make the piece more impervious to water and make it looks better. The decoration can be made at the moment of shaping under the glaze or enamel which protects the ceramic, or after the glaze and enamel are laid. All types of plastic stickers can be applied to ceramics once grease is removed. The stickers give a style to ceramics and are resistant to hand wash, water, heat and steam washing. Drying takes place in an ambient atmosphere for a sufficient time to allow the elimination of water and thus avoid the risk of cracks during cooking. Cooking is done in kilns. This is the second large cooking that takes place after the setting of the decoration and the glaze or enamel, and allows vitrification of the pastes and fixing of the colors. 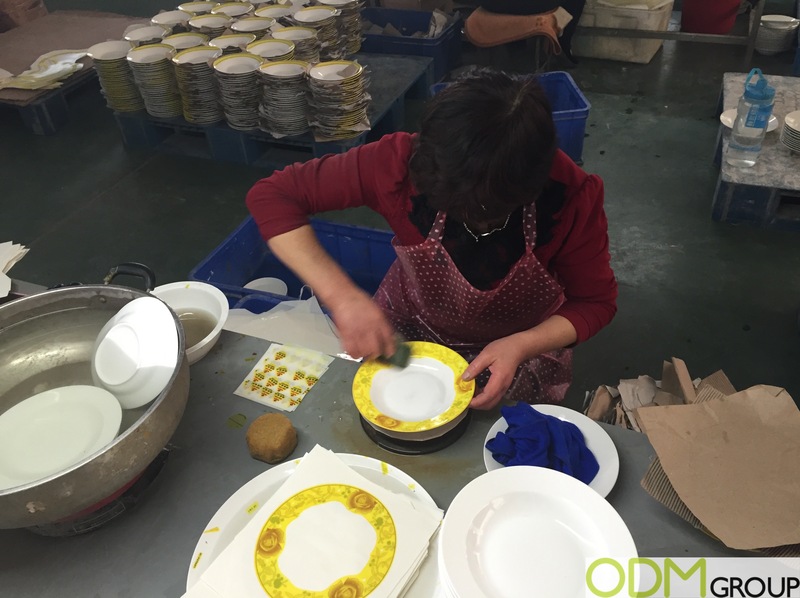 At ODM we have significant experience in product design, sourcing and manufacturing. We can help you with your marketing budgets effectively. Be sure to contact us if you are interested in finding out more information about ceramic products. Don’t be boring… Stand out with these playful mugs of all shapes and sizes. Click the link to find out more about how to be create in production and why it will help with sales. These highly aesthetic and modern ceramic pieces are an absolute stand out. 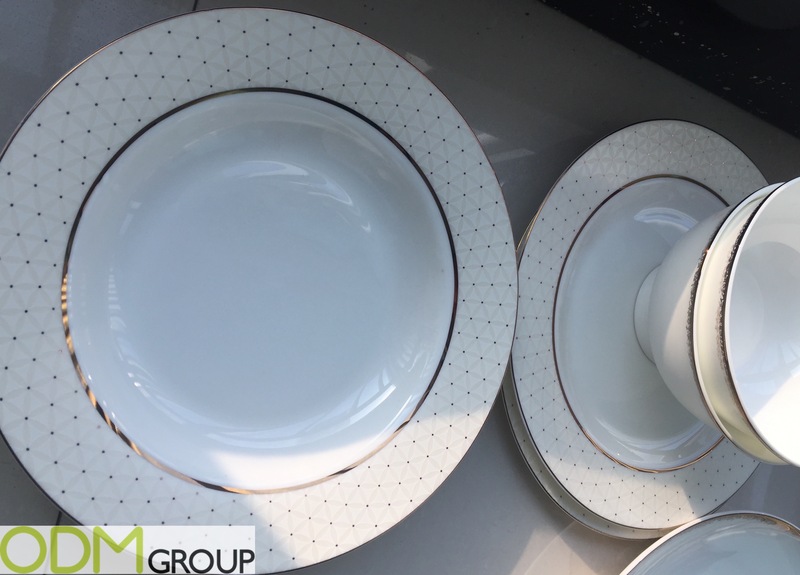 The thoughtful ceramic tray to place these four pieces on is just a simple additional product which will make you be more noticeable that competitors. How to Impress Your Clients with Promotional Ceramics? These custom promotional mugs are colourful and exciting. They are sure to grab the attention of possible buyers.